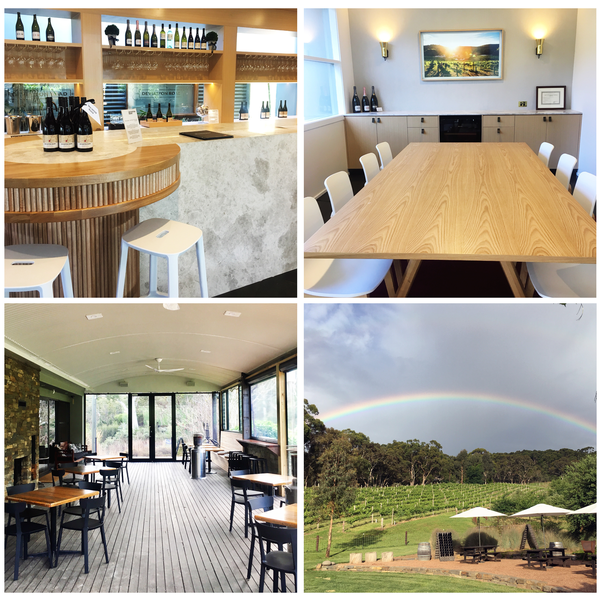 Our Adelaide Hills cellar door is located at the gateway of Hamish and Kate Laurie’s gorgeous 50-hectare property, a short five minute drive from Stirling in the heart of the Adelaide Hills. Bring your friends to enjoy tastings across our sparkling and premium still wine range. Stay for a glass of your favourite wine, indulge in a guided wine flight and enjoy a regional tasting platter on the deck that overlooks the wine garden and home block vines. Address: 207 Scott Creek Road, Longwood SA 5153 (5 minutes from Stirling in the Adelaide Hills). Google Map Directions. Bus groups: $10pp. Bookings essential. Max 30pax. Between 10am-12noon on Saturday and Sunday.